Pure TalkUSA announced today that its no contract mobile phone products and services are now available in more than 1,600 Sears and Kmart stores across the USA. Store available products and services include the ability to purchase sim cards, calling plans and feature phones. Pure TalkUSA has also introduced new plan payment cards that can be purchased at any Sears or Kmart location that carries the companies products. With the payment cards customers will have the option to redeem online, pay upfront or enroll in their monthly auto pay program. 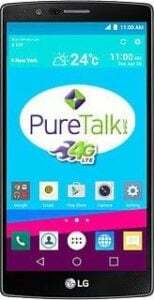 Pure TalkUSA has been in business since 2004 and it is a prepaid wireless provider that utilizes ATT's network for service. Plans with the provider begin at $5.00/month for 80 minutes of talk and text and go up to $44.95/month for unlimited talk, text, MMS and 2 GB of 4G LTE data. Family plans and pricing are also available. See BestMVNO's comparison of all Pure TalkUSA phone plans.